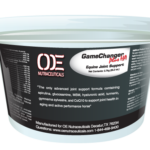 How are OE Nutraceuticals priced compared to other supplement companies? The products range from 20% to 40% less expensive per dose or daily recommendation than other supplement companies with similar products. 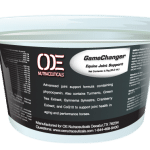 OE Nutraceuticals vision is to provide top quality products at prices that all competitors can afford year-round for their horse to be healthy and perform at their optimum level. How is OE Nutraceuticals different than other supplement companies? We use higher levels of active ingredients in our products than our competitors, we use multiple key ingredients in our formulas to create a synergy that gives us the desired result, we use less fillers, we believe in ethical labeling of products, and our manufacturing is second to none. We have partnerships with leading worldwide companies on the newest technology and innovation in the animal feed industry. Are you confused by amount of nutrients in a supplement or how to read a supplement labels for comparison? 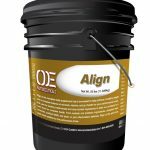 How long is shelf life of OE Nutraceuticals products? Shelf life is 2 years on all products if storage guidelines are followed. Are OE Nutraceuticals safe and will they pass drug testing? 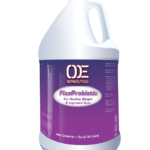 OE products use ingredients that are safe, studied, and drug free. Where are OE Products made? GMP Certified– GMP refers to the Good Manufacturing Practice Regulations. GMP certification is granted to manufacturing or service systems of organizations to certify that they engage with good manufacturing practices in their manufacturing or service processes, according to a Standard Code of Practice related to their business. HAACP Certified– Hazard analysis and critical control points or HACCP is a systematic preventive approach to food safety from biological, chemical, and physical hazards in production processes that can cause the finished product to be unsafe, and designs measurements to reduce these risks to a safe level. NASC Approved – NASC members include manufacturers of the finest animal health supplements who are committed to the highest standards of quality and safety in the industry today as well as raw material suppliers, distributors, veterinarians, retailers, pet professionals, and animal friends. How does OE Nutraceuticals choose ingredients? OE Nutraceuticals uses ingredients in our products that are trademarked or case studied. The internet is full of claims about ingredients that may helping a specific issue, we prefer to rely on scientific data. Please visit our ingredients page to find out more about trademarked and case studied ingredients in our products. How are OE Nutraceutical’s products developed? Our products were developed by Veterinarian input, leading equine nutritionists with real world production experience, and global leaders in innovative feed specialties, premixes and nutritional services for the animal nutrition industry. Our products are tested, trialed, and improved thru a rigid development process prior to going to market.